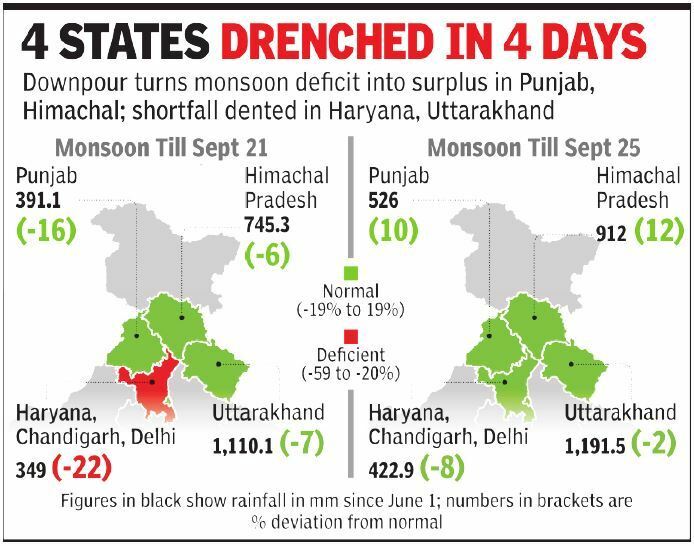 The remnant of cyclone Daye, which hit Odisha coast last Saturday and surged inland, brought the wettest weather seen over north India3 years.The system dumped an average of 38.9mm of rain on Sunday and Monday, the highest two-day spell of rainfall in the region since July 2015, with Himachal Pradesh witnessing its rainiest September in at least the last 14 years. 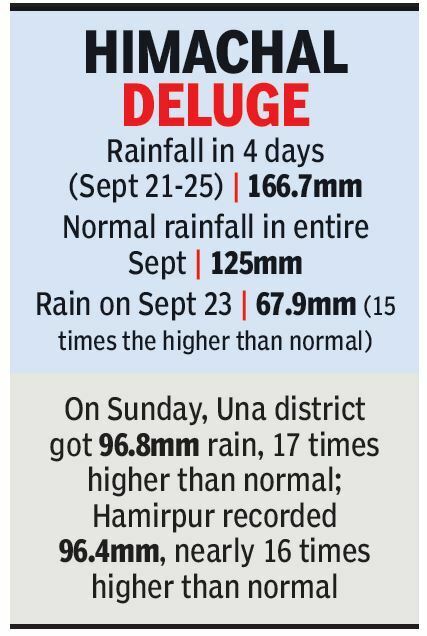 Monday was the wettest September day over north India since 2014, India Meteorological Department (IMD) records reveal. It was also the heaviest day of rain in the region, for any month, since July 2016. “North India saw extreme weather over the past few days caused by the interaction of moisture brought in by cyclone Daye in the form of low pressure with a westerly system that circulated that moisture across the region. The system has almost passed now and rainfall will significantly decrease from Wednesday,” said K J Ramesh, director general of IMD.